The various myths which have surrounded the Requiem were largely spread by his biographers after his death and were fanciful. Those who have seen Peter Shaffer’s play Amadeus—later made into the box office hit film—know well the fictional notion that the composer Salieri was the mysterious stranger who visited Mozart and paid him to write the Requiem for an ‘anonymous patron’. The real truth is just as chilling. The stranger in grey was, in fact, the steward of a Viennese aristocrat, Count Franz von Walsegg-Stuppach, a wealthy amateur musician who was accustomed to hiring professional musicians to perform in his home. He also liked to commission works secretly (copying the instrumental parts in his own hand) and then asking the players to guess who the composer was. The Count was commissioning Mozart to write the Requiem so he could pass it off as his own! Mozart’s mysterious visitor undoubtedly had an adverse effect on his health, seeing this request as an omen of his own death. However, Mozart could not ignore the stage payments on offer to him as he was, by all accounts, considerably in debt. Already exhausted from writing two operas La Clemenza di Tito and Die Zauberflöte—both in production at the time—he had little energy left for the Requiem, and he died without completing the work. After Mozart’s death, his widow Constanza was confronted with a dilemma. In order to be paid the other half of the commissioning fee, she had to deliver a completed score, and being also in serious financial hardship following the death of her husband, she searched for someone to complete the work for her. 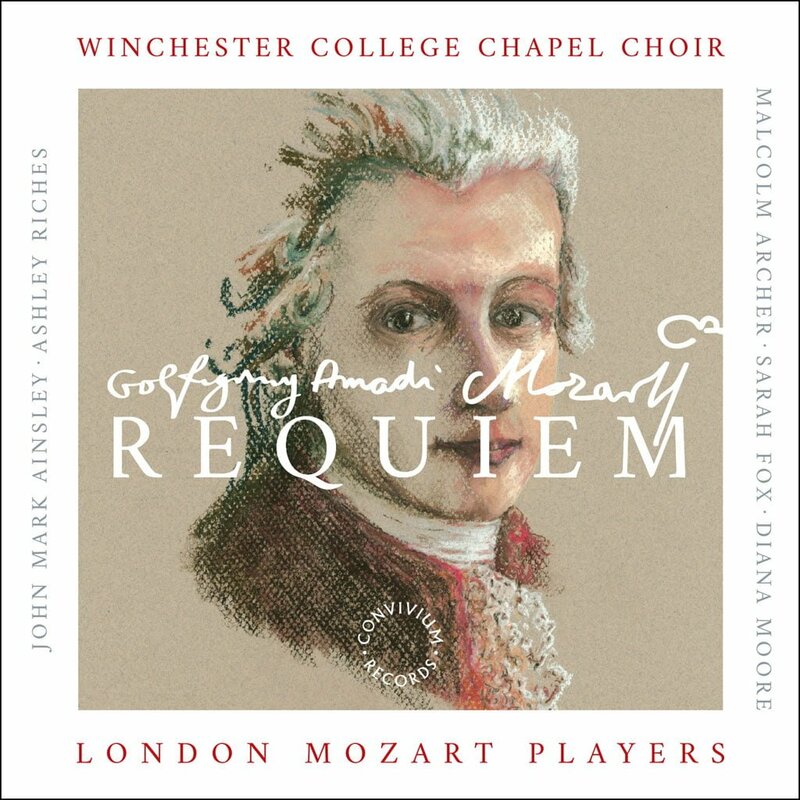 Mozart had only finished the vocal parts and continuo from the Introit to the Offertory, and the Lacrimosa ended after just eight bars. She finally persuaded Mozart’s 25-year-old pupil, Franz Xaver Süssmayr to complete and score the Requiem. Süssmayr knew Mozart well and had been with him during the creative process—his handwriting was also very similar to Mozart’s. In fact, it may well be that Süssmayr wrote down from dictation many of Mozart’s ideas for the work. Süssmayr was certainly not a composer of Mozart’s ability or genius, but he was skilled enough for the job to be done well. Apparently, Count Franz was delighted with the result, which suited his devious purposes admirably! The work might not exist today if it were not for the fact that Constanza broke the terms of the agreement and had the entire score copied out for her own safekeeping, in addition to the copy that was delivered to the Count. She also arranged a public benefit performance of the work which further frustrated the Count’s plans. In fact, the popularity of Mozart’s Requiem today is owed to the considerable and skilled efforts of Süssmayr. It is for this reason that our recording is true to this version of the work. Others have tried to reconstruct the work from Mozart’s original sketches, but in my opinion, none has succeeded as well as Süssmayr. Indeed, the Benedictus is arguably one of the finest movements, and surely one of which even Mozart would have been proud. It is true that the Süssmayr completion does suffer from some over-scoring at times, especially in the trombone writing during choruses, but with judicious ‘thinning out’ the clarity of the music can shine through luminously and one is easily convinced that we are listening to a work by Mozart. Süssmayr claimed that his work (apart from the Sanctus and Agnus Dei) was entirely based on Mozart’s own sketches and plans. There is no reason to doubt this, although some claim that the movements that Süssmayr composed do not have the idiomatically Mozartian lines and that they possess flaws in musical style and grammar that are foreign to Mozart’s idiom. The Sanctus received some criticism in terms of orchestration, and the fact that the Hosanna is a truncated fugue rather than something more fully-blown. Also, the fact that Süssmayr brought back the Hosanna fugue in a different key at the end of the Benedictus came in for criticism. However, balance this with the sublime vocal writing for the soloists in the Benedictus and the ingenious way in which he has completed the Lacrimosa—more effectively than other versions—and we see that Süssmayr did indeed do a fine job. Were it not for him, a potentially great work would have been lost, probably for ever. Known for its unmistakable British roots, the orchestra has developed an outstanding reputation for adventurous, ambitious programming. 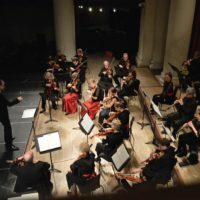 From Baroque through to genre-crossing contemporary music, the London Mozart Players is constantly exploring new venues and audiences through collaborations with artists and personalities from all over the creative scene. The ensemble has enjoyed a long history of association with many of the world’s finest musical personalities including Igor Stravinsky, Sir James Galway, Dame Felicity Lott, Jane Glover, Julian Lloyd Webber, Stephen Hough, Nicola Benedetti, John Suchet and Simon Callow. 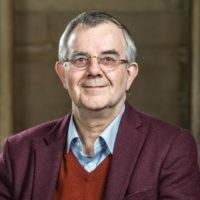 Since its inception, the orchestra has championed new works, regularly giving world premiere performances by composers including Sir Peter Maxwell Davies, Tarik O’Regan, Sally Beamish, Cecilia McDowall, Lynne Plowman, Fraser Trainer and Roxanna Panufnik, who was appointed as Associate Composer of the ensemble in 2011. 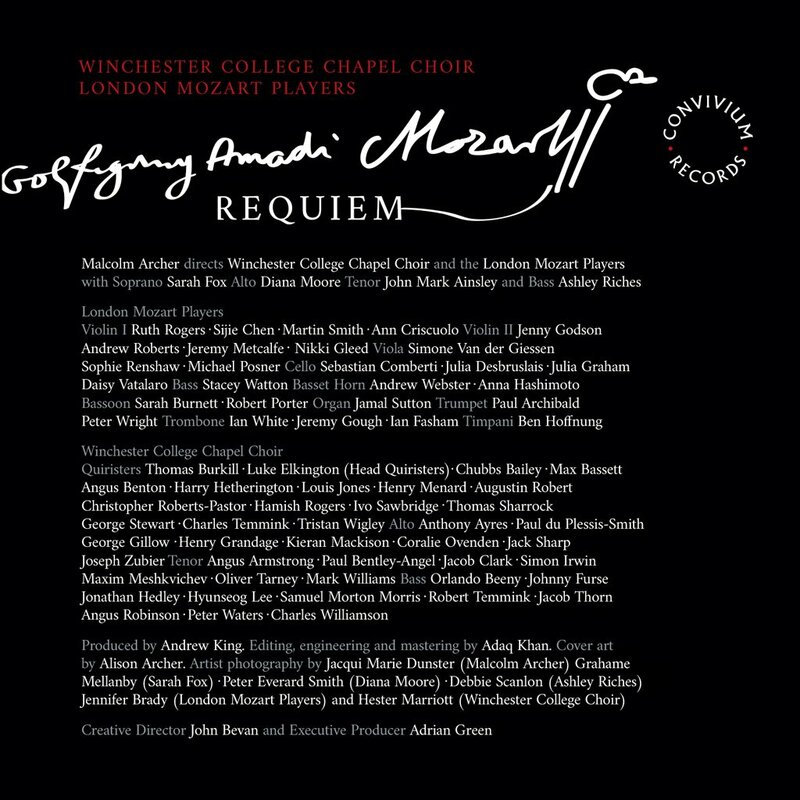 The ensemble has a strong tradition of supporting new music for choirs; in 2014 they joined forces with Portsmouth Grammar School to commission a major new choral work by Jonathan Dove, For an Unknown Soldier, and in the same year performed the world premiere of Toby Young’s Love and Harmony with the London Oriana Choir. Away from their commitment to live performances across the UK, the London Mozart Players also undertake an international touring schedule which has seen them give performances in the Far East, Austria, the Netherlands, Italy, Germany, France, Belgium and Spain. 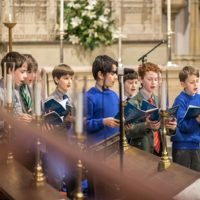 A long relationship with classical label Chandos has led to a series of over 20 recordings, including works by Mozart, Beethoven, Haydn, Clementi, Salieri and Stamitz. The orchestra featured on Naxos’ release Flowers of the Field alongside the City of London Choir, Roderick Williams and Associate Conductor Hilary Davan Wetton, which reached No.1 in the Classical Album Charts. The orchestra regularly performs with their Conductor Laureate Howard Shelley, as well as working closely with some of the world’s eminent conductors and soloists, including Tasmin Little, Anthony Marwood, BBC Young Musician 2016 Sheku Kanneh-Mason and cellist Laura van der Heijden, the orchestra’s first Young Artist in Residence. In 2016, the London Mozart Players relocated their home to St John the Evangelist, Upper Norwood, undertaking a rich programme of initiatives within the local community. Their commitment to reaching new audiences is underlined with their highly-regarded education and community programme LMP Voyager, which sees the ensemble take world-class classical music into schools, colleges, local amateur groups and areas of the community, helping to build excellence and passion for classical music through performance and shared experience. The London Mozart Players has enjoyed the patronage of HRH The Earl of Wessex since 1988. In the summer of 2014, the orchestra began a new and exciting phase in its history, becoming the first professional orchestra in the UK to be managed both operationally and artistically by the players.